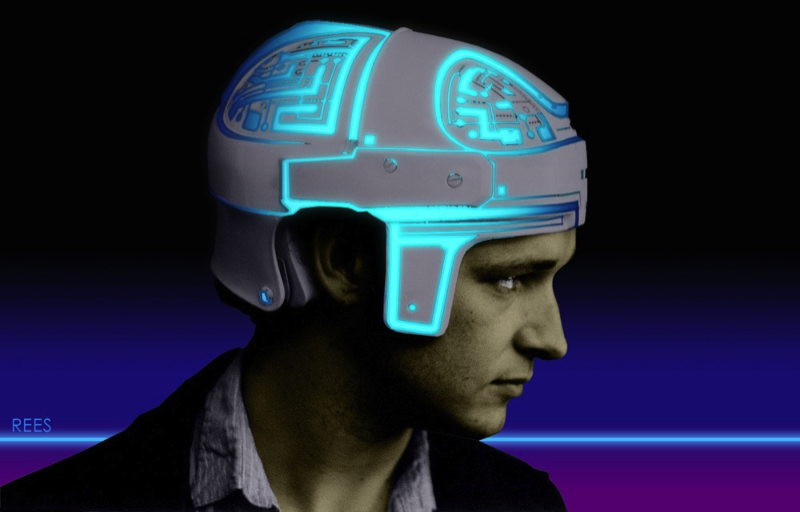 During production, Rees imagines being a User on the Grid. 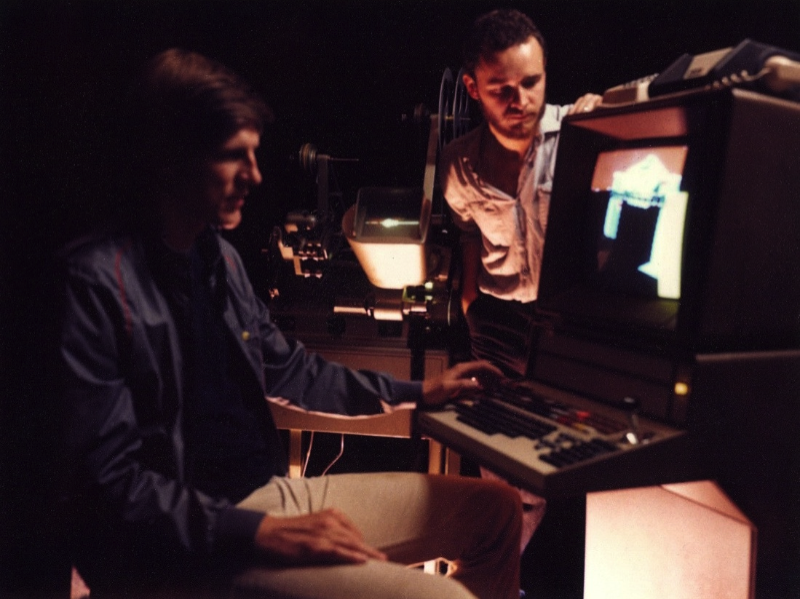 Test polaroid of Bill Kroyer and Jerry Rees by photographer Tom Zimberoff for a Smithsonian article about TRON. 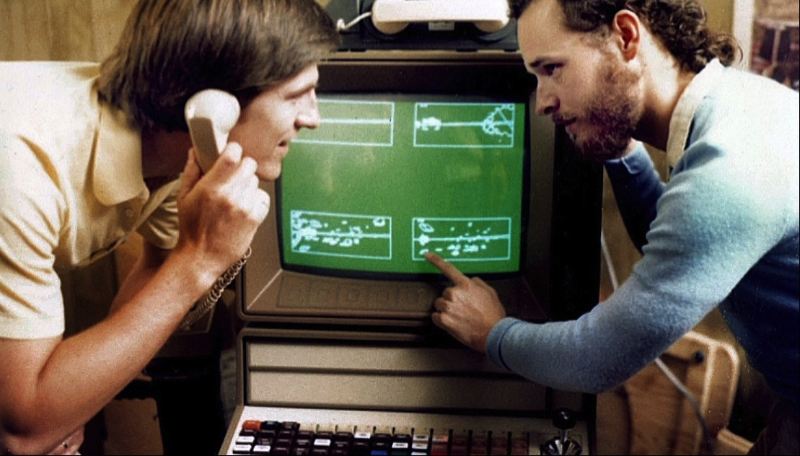 Bill and Jerry reviewing vector frames transferred via phone modem. 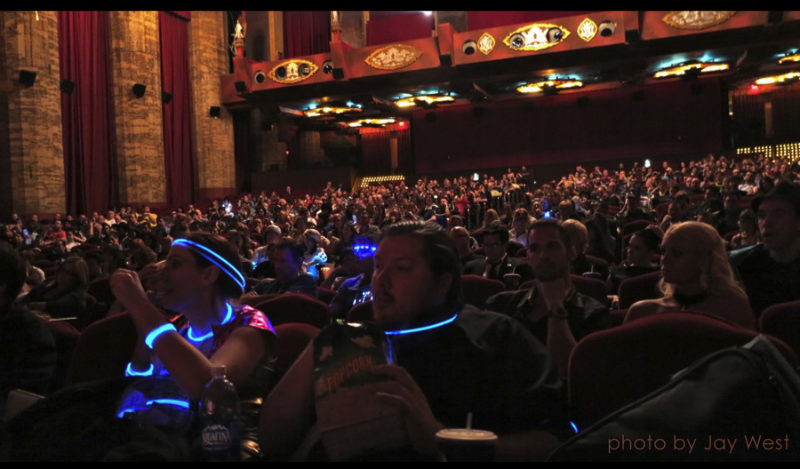 Awesome fans attend the TRON 30th celebration at the Chinese Theater, Hollywood. 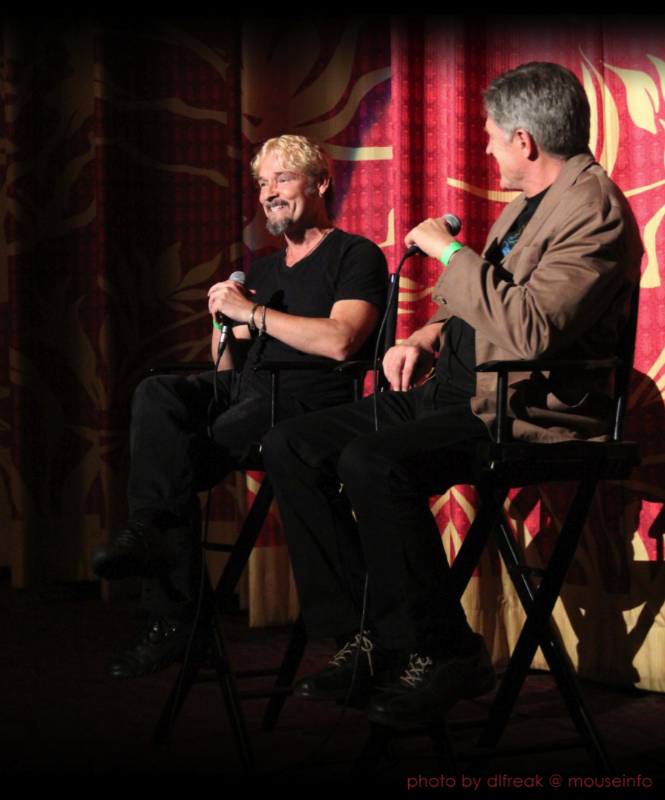 In the Chinese Theater, Jerry Rees and Bill Kroyer share TRON memories with fans.